It’s one thing to say, “nice drive on that one,” but to act as if players only began to drive it 300 yards in the modern age is ridiculous and insulting to the players that came before them. It’s all balderdash – advances in club and ball technology and the super-short fairways (most of which are downhill and downwind when you pause to review a so-called “massive drive” that flies 300 and runs another 40 or 50) are responsible for the bulk of increased driving distances. 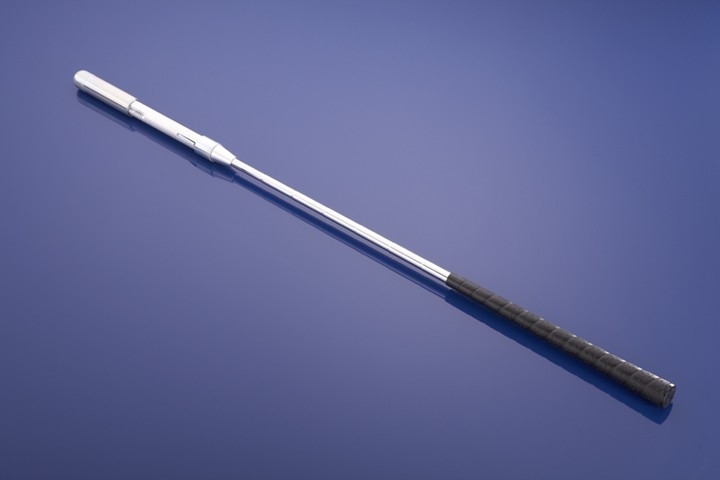 As for the fact that most of today’s players are gym-obsessed – that’s only because to swing in the Modern Golf Swing style takes brute muscle power instead of the hugely leveraged Classic Golf Swing models of yesteryear. 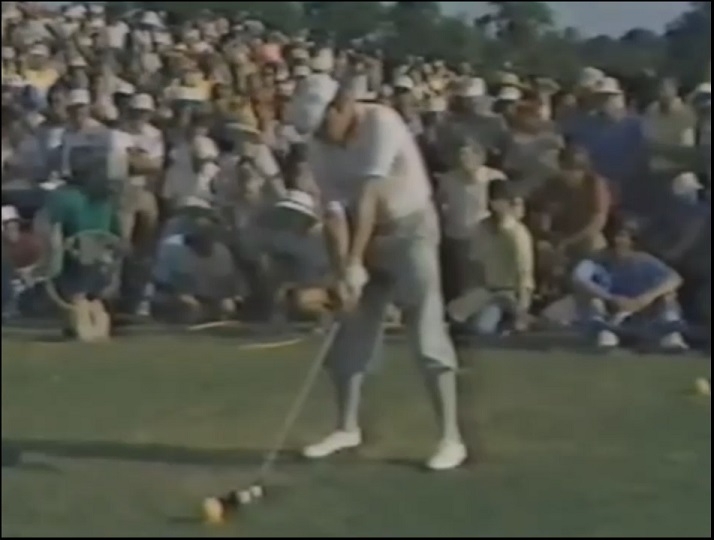 You don’t have to take my word for it – you only have to watch the below clip showing the 1982 National Long Drive Championship held at Southern Hills C.C. in Tulsa, O.K. to see how much of what you see today is smoke and mirrors. First of all, the distances these guys were driving the ball were astounding to anyone who knows anything about the golf swing and equipment – today’s long drivers are massive, 6’5″ weightlifting monsters (with the exception of 2x Remax World Long Drive Champion Jamie Sadlowski), swinging super-tech clubs with shoebox-sized heads and graphite shafts – and they still don’t regularly get the ball out past 400 yards. Yes, of course you’ll see drives longer than 400 yards in competitions, but those are usually the one-off drives from the eventual champion, not the average by any stretch, and then compare the size of the men today with the Joes from the 1982 competition. You see drives of 320-345 yards with steel shafted persimmon-wood drivers with heads the size of today’s 5 metals, and balata or surlyn balls, and average-size fellows pounding it out there. He’s not a monster by any means, and though he didn’t advance to the final, he hit a drive of 315 yards with that 1982 equipment. It’s at 4:50 and watch how smooth and easy that swing was, to produce that drive! But forget about that – eventual 3x Major Champion, the late Payne Stewart hit a drive of 338 yards with the swing you see below! That short-stop slide with the trailing foot through impact. I could actually use Payne Stewart’s golf swing above (and that of many others, to be honest) in my own MCS Golf Swing videos on the MCS swing, couldn’t I? Contrast his action with the guys jumping out of their shoes today and not even hitting it that far with the modern equipment and technology they enjoy. 338 yards from a slender-built PGA Tour player swinging a steel-shafted persimmon driver with 80’s tech ball. So, compare that with a 350 yard drive on today’s Tour that usually is a 290-310 yard carry down a severely sloped fairway and which runs another 40-60 yards… and they’re trying to tell you that these guys are doing something spectacular. 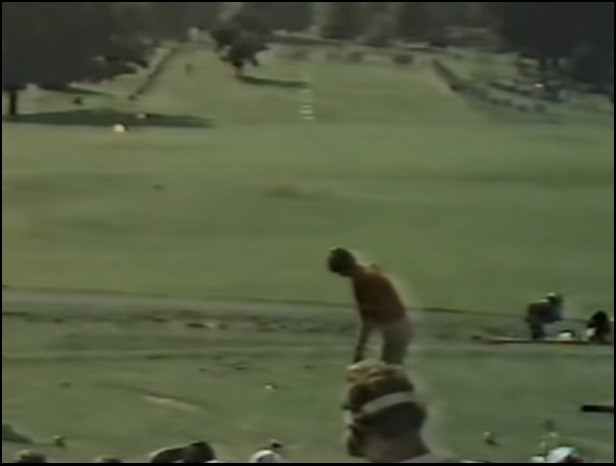 Now look at the 1982 target area – with persimmon drivers and balls that actually curve, to a fairly level fairway only 40 yards wide to be in bounds. So, you can count Sam Snead, Jack Nicklaus, Arnold Palmer among many notable swingers who could bust it out well past 300 yards when they wanted to, and with equipment that would leave today’s players in traction trying to do the same with the modern swings they have. Color me not impressed when the talking heads fan themselves and collapse onto their fainting couches at a 300+ yard drive these days – they obviously have very short memories and, apparently no access to the videos I see on Youtube. That footage must have been lost to them about the time all of the old classic swing programs disappeared from the Golf Channel. You know, the ones that showed actual, proper swings? Back to bed for me, and a good day to you all! Funny they had a tree out there for a distance competition. By the way, if you watch later in this vid, you can see how Fred couples broke his back – but also the incredible flexibility he had. I imagine when he stopped lifting the heel going back, combined with that back-crunching impact position, was what sealed his fate in the end with that first injury 11 years after this event. Some things are a long time coming, but they eventually get you in your 30’s or 40’s if you last that long.